Serving all South Florida and the Caribbean Centrali Marble Inc. is a solid family owned bussines that has been satisfying customers for over 15 years and is now based in Delray Beach, FL. We keep our prices low and affordable by importing most of our stones from our own quarry in Pietrasanta, Italy. From the quarry straight to your house is the best way to cut off all the mark-ups you see out there. Centrali Marble Inc. takes big pride of having the lowest prices of the market combining quality, craftsmanship and expedited fabrication and installation. With a beautiful showroom and a large warehouse filled with the finest slabs, Centrali Marble Inc. is always worth visiting. You're welcome to stop by at anytime during our business hours, no appointments are needed. Please come meet us and enjoy an authentic Italian Espresso made fresh just for you! Our client's satisfaction is our biggest goal! We believe that a happy client is the most valuable way of spreading our name. Most of our business is based on referrals and keeping it going is our main commitment. We are a family owned and operated Company that has served residents as well as businesses of South Florida for nearly 20 years. Our founder Joseph King III began working as a Tile Technician in 1973 and formally established KJ Marble & Tile in 1995. His belief was that businesses could also build meaningful relationships; simply by ensuring customer satisfaction is achieved through high quality workmanship, professionalism and affordable pricing. Though he is physically no-longer with us, we honor him and his passion to “Please Customers” by continuing those very principles. We pride ourselves on conducting business with honesty and professionalism!! Marble Systems is a luxury natural stone company that provides exquisite collections in a variety of specialized surface finishes ranging from polished to rustic tumbled, chiseled and antiqued. PEBRAX Stone invites you to enjoy the Pebrax Experience!!! PEBRAX Stone is a family owned and operated business, serving the residential, commercial and marine industries. At PEBRAX Stone, you get professional installation with a personal touch, where we strive to treat every customer like our only customer. We understand how important your residential or commercial project is to you. That is why it is our goal at PEBRAX Stone to complete every order on time... every time. Your one stop showroom from floor to ceiling! 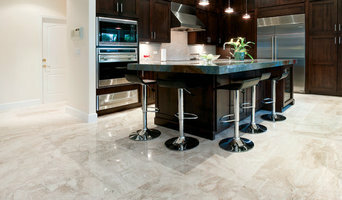 We specialize in the fabrication of earth's finest granite, marble, travertine, and other natural stones. With over 200 colors in stock, you are sure to find what you're looking for. We also work with full kitchen and bath remodels, including cabinets, showers, flooring, and more! Stop by our showroom to take a look at all we have to offer, including our various lines of cabinetry, and vast amount of tiles, along with the thousands of slabs we hold in stock! Feel free to contact us via phone or email with any questions you may have. Sophisticated tile design for interior and exterior surfaces. Supply and design. Keys Granite is Florida’s most trusted resource for a broad selection of the world’s highest quality natural stone. In our unique showroom warehouses throughout the state of Florida, you can select the actual tiles or slabs you want from over 400 different types of natural stone --- granite, marble, travertine, limestone, onyx, quartzite, and semi-precious. We, also offer several other products, including manufactured/veneer stone, OneQuartz (engineered stone), Simply Granite (pre-fabricated tops) and Atmosphere (terrazzo collection-green/LEED line). Aside from all of these lines, we are able to find other materials specifically for your natural stone product specification throughout our extensive vendor network. We inspire, educate, inform and support you through all phases of your project, from sampling and selection, to delivery, and we are always available to provide the best customer service. 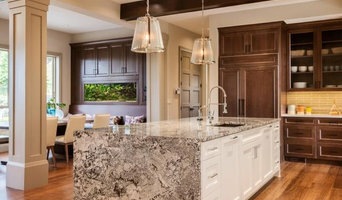 Join the homeowners, architects, interior designers, builders, contractors and installers throughout Florida who rely on Keys Granite and their essential resource for all of their natural stone needs. Call us, visit us on the web at www.keysgranite.com or come into one our showroom warehouses closest to you. Palm Beach Luxury Surfaces specializes in all aspects of fine custom luxury surfaces allowing us to design and create without limitation. 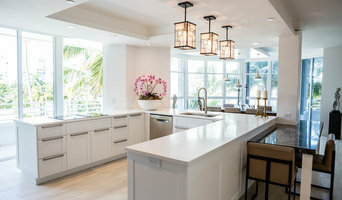 It is this unlimited approach to design and excellent service that has established us as one of the premier custom surface firms in Palm Beach County. We are custom stone fabricators. We have been in business for over 25 years and our work is guaranteed. We work on houses, condos, buildings, boats, and planes. We only charge by the sq/ft so you as the customer don't have to buy the slab. If we don't have the material you like we can help find it for you. Jupiter Tile and More is not just your average Tile, Counter-top and Stone store. We separate ourselves from the competition with a diverse showroom and a long list of contractors that makes our store and a one stop shop for your home remodel project. Modern Marble & Cabinetry is a design studio presenting innovative, sophisticated assortments porcelain tile, mosaics, marble and other stones. We feature custom and manufactured cabinetry - and counter tops in our Lake Park Showroom. We have a state-of-the-art cabinet manufacturing facility on-site which allows us to provide infinite options of avant-garde cabinetry in a wide variety of prices.